Big Ideas can help provide greater benefits than cost savings. Timo Worrall tells Procurious how Johnson & Johnson are working with organisations like Autism Works to help a wider community find work. For people with autism, finding a job can be a near-impossible task, with recruitment processes stacked against them from the very beginning. However, Johnson & Johnson, one of the world’s leading consumer healthcare organisations, is supporting organisations like Autism Works, proving that thinking outside of the box to include the people farthest away from employment opportunities is achievable. This Big Idea is part of J&J’s ‘Social Impact through Procurement’ initiative, which has committed to spend £15 million with social enterprises, like Autism Works, by 2020. Timo Worrall, Senior Category Manager (FM EMEA) at J&J, heads up the team responsible for driving this procurement-led initiative through the J&J business in the UK. At the Big Ideas Summit, Timo will join a high-profile panel to discuss social and sustainable procurement and ethics, their impact on the procurement profession, and what procurement leaders could and should be doing to embed these practices. 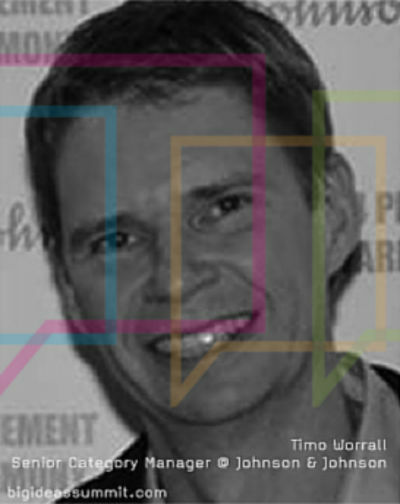 Procurious caught up with Timo ahead of the Big Ideas Summit. I am excited to meet with people who may already be or are open to working with Social Enterprises. I hope by the end of the meeting everyone feels the same. I am a father of two boys, and live with my family in Woking. We have just started to renovate our 1950’s bungalow, and are presently living on a building site. The kids seem to like it more than my wife and I do, but we are looking forward to the end result! What are the main challenges that face social enterprises in the UK? Making the connection to companies who don’t yet know the value of working with Social Enterprises. Once they find these opportunities, how they can meet our sometimes complex requirements, and then grow in a sustainable manner that works for us both. Can you tell us a bit more about Johnson & Johnson’s work with social enterprises? We have a program called Social Impact through Procurement. Our goal by 2020 is to spend £15 million with Social Enterprises and create 150 jobs for those people furthest from the jobs market. We are presently working with a wide range of Social Enterprises across many categories. One of these companies is Autism Works, who we made a video with to show how this particular social enterprise helps those with autism and other autism spectrum conditions. What should procurement leaders be doing to help drive the social and sustainable procurement agenda? Firstly understand it and tell your business stakeholders the benefits of doing this. Give your teams a little extra time to look for good social enterprises, and work with them to build sustainable solutions. Then tell the good news stories and build on the success. Timo Worrall will talk about these topics in more detail during one of our panel discussions at the Big Ideas Summit on April 21st.